Spending an entire summer in Iceland on horseback is always fun, but its still work. 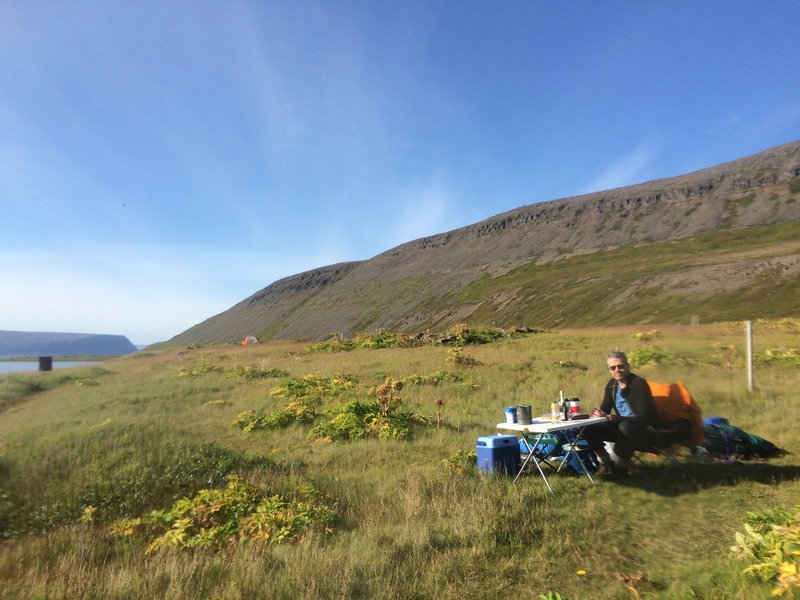 During my vacation days, its fun to roadtrip or boattrip and camp in the highlands or fjords or by the seaside. 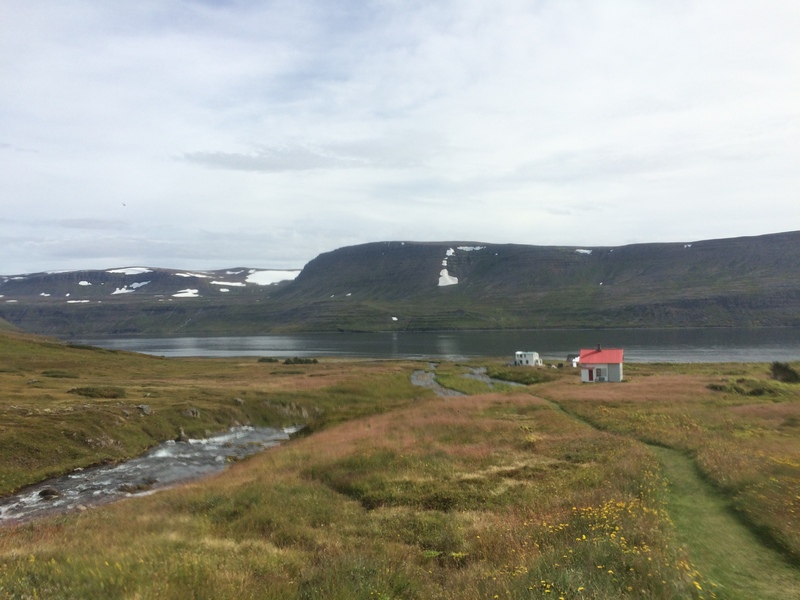 The Westfjords are a common destination in Iceland, especially for roadtrippers, hitchikers, and campers, but you’ve got to drop the car if you want to get to Hornstrandir. Hornstrandir is one of the most remote parts of Iceland, the furthest north-western part of the country, uninhabited and road-less. 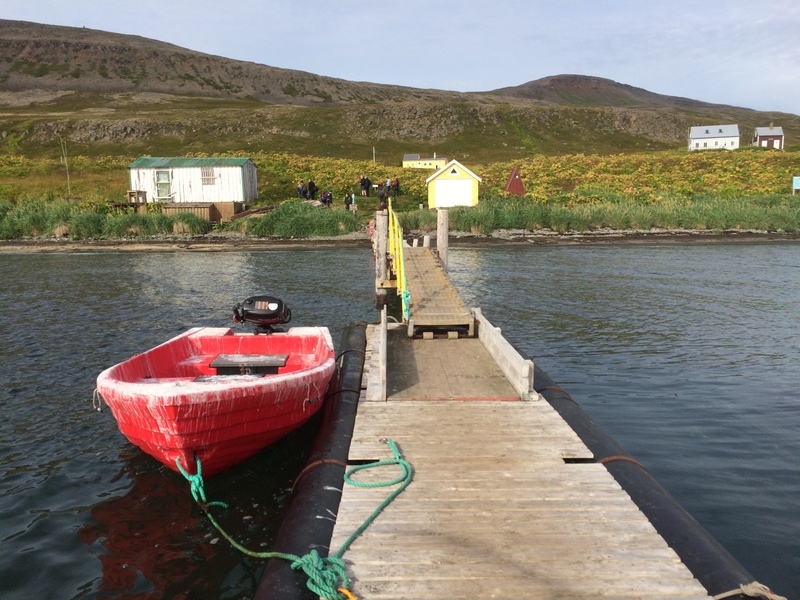 You can only get there by ferry boats – most of them leave from Isafjörður and depending on the day of the week, can shuttle you to one 7 or 8 fjords in Hornstrandir. 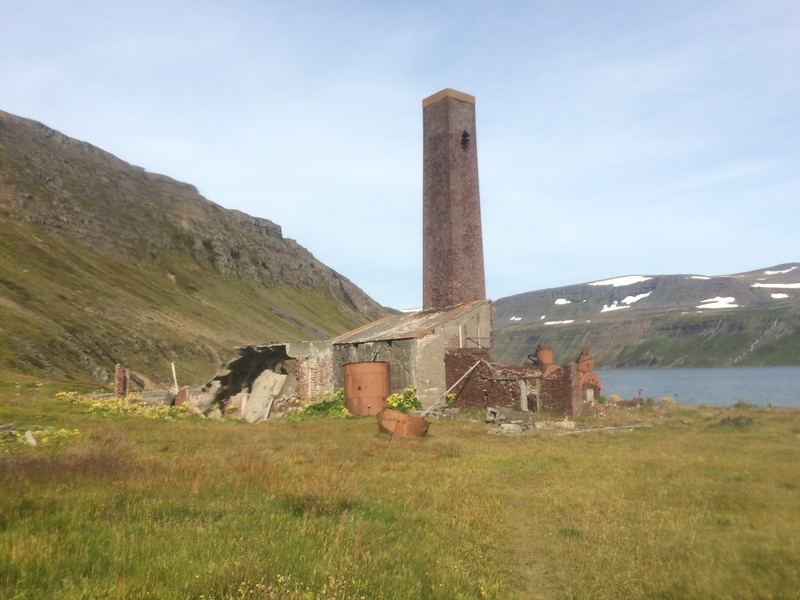 Some of them leave on you on the beach or just the side of a mountain, but other places with a little more infrastructure have boat docks, a few local summer houses owned by family descendants (from the days before 1960’s when Hornstrandir was still populated), campsites and outhouses. We went to Hesteyri, which used to be a village of 80 Icelanders in the 1930’s complete with a mini-hospital and shop, but now the doctors house is a small hostel/hotel and cafe, and the shop has been turned into a private summerhouse. A few other remaining houses are also used by vacationing Icelanders, but the majority of backpackers and tourists that come set up in the camp site among the ruins of once-upon-a-time homes and yards. Fishing off the boat dock proved there’s still plenty to eat in the sea, and a sea-swim skinny dip brought the attention of at least one curious seal. On the ferry rides between Isafjörður, we were lucky enough to sail in and out of 3 other fjords to pick up other hikers, and saw dozens of seals and even a pod of whales. We were on one of the last boats of the season, August 26, but the season doesn´t even start til early June. 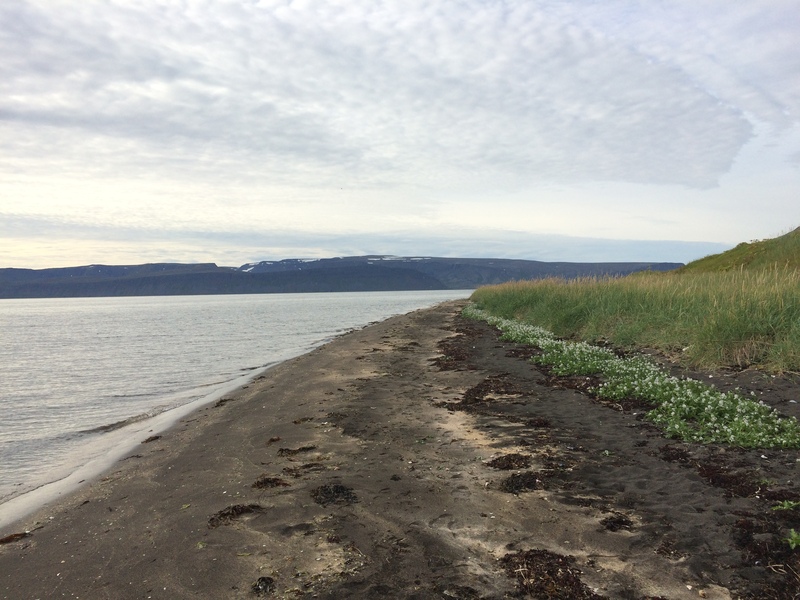 To plan your own trip to Hornstrandir, check out West Tours for ferry boat schedules, or Borea Adventures for guided day trips (hiking, kayaking, or even skiing in the winter season! ).